Earlier last week Dr. Fortelius took the students down to the basement to look at the many specimens that have been collected over the year and to do some group tasks. 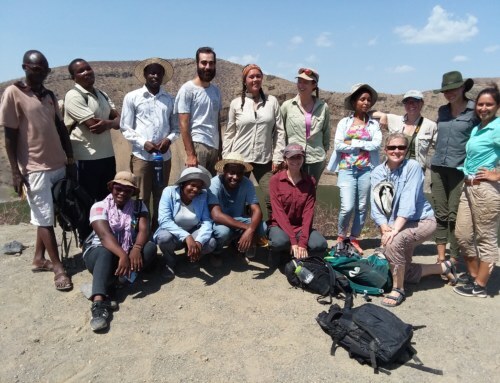 TBI has an ever growing faunal collection with an amazing number of different East African species, which is great for comparative studies with fossils. 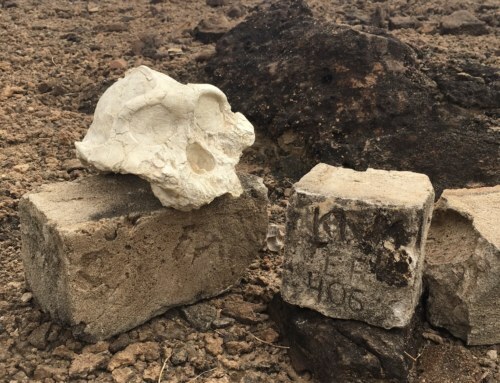 Task 1 – What is it? 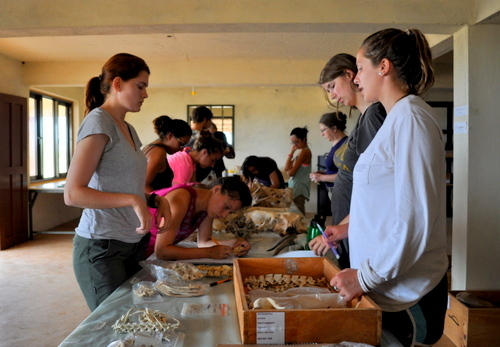 In the first part of the lab the students were presented with a collection of various different fossils for them to look at, discuss, and attempt to identify. 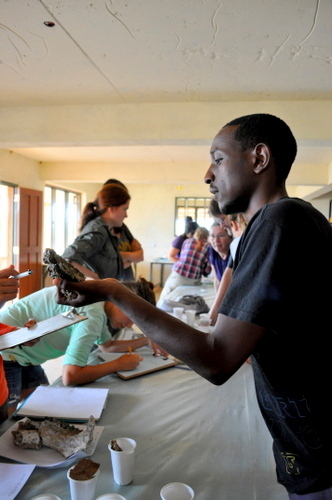 Abdi puzzles over a fossil mandible. 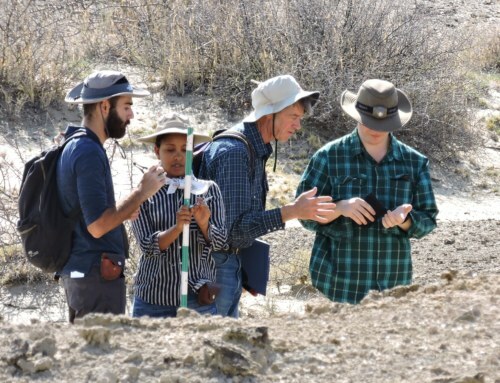 Many of them were fragments of much larger bones, so it was no easy task, but with Dr. Fortelius’ guidance, they were able to classify all the fossils by the end of the session. 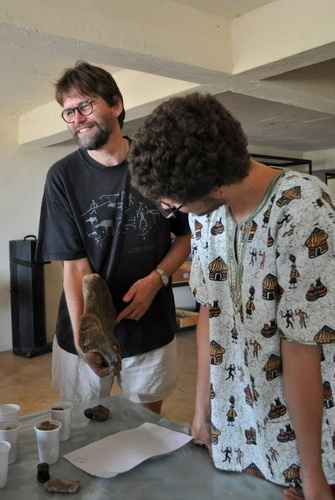 Dr. Fortelius gives the students some clues to identify a fossil Hippo mandible. Task 2 – What are the anatomical differences between different animals? 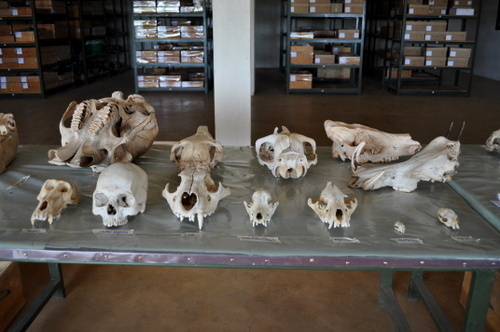 In the afternoon, the students returned to the lab to find many different species, from hyenas, to elephants, baboons, hyraxes, rhinos, warthogs and dik-diks; laid out and grouped by anatomical categories. 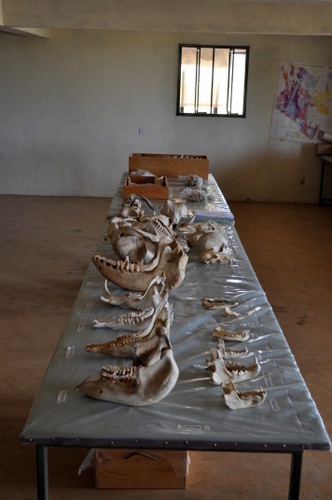 Here, all the specimens were labelled as the task was for the students to identify features within each anatomical group that were distinct for each species. This is useful not only for the identification of modern species, but also to gain a better understanding of how modern species morphology has developed new features or retained common ancestral ones through evolution and divergence from a common ancestor that has since become extinct, but is still present in the fossil record. 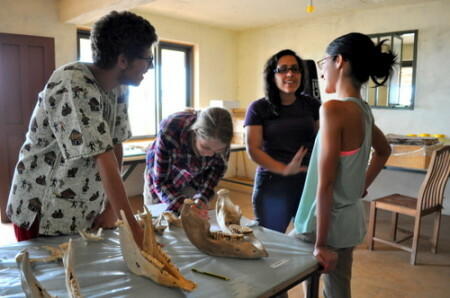 The students spread out in groups to different anatomical stations. In the foreground, Kate, Erica and Robyn explore the axial skeleton. 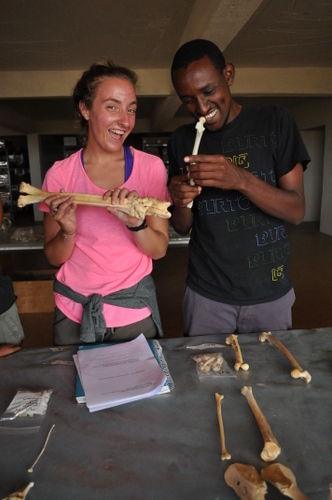 Later, Sarah and Abdi compare hind-limbs of different species. 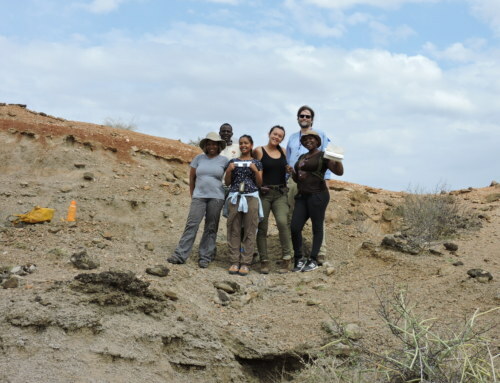 While Rob, Janina, Angela and Lauren have an animated discussion on mandibles. There are many books that illustrate the anatomical differences between different species, but trying to figure it out for yourself is a great way to really get familiar with all the bones and to train the eye to identify such features. 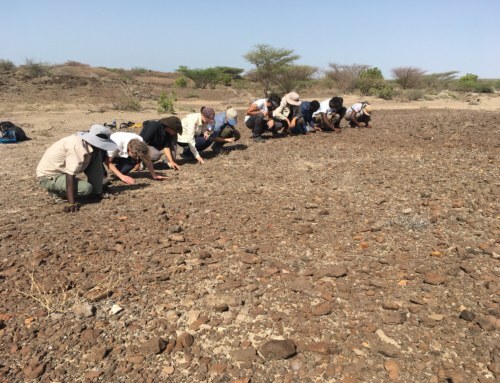 The students really enjoyed being able to study the fossils and the bones in so much detail and they had a lot of fun doing it too!